Barcelona company files cybersquatting claim in abuse of the UDRP. AUSACORP, S.L. 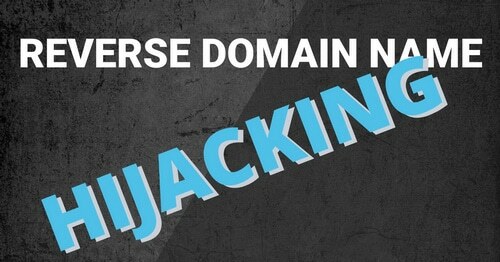 has been found to have engaged in reverse domain name hijacking in a cybersquatting dispute it filed over the domain name Excelway.com. The company started a brand called Excelway but didn’t inform the World Intellectual Property Organization panel about the date it originated the brand. It appears to have been sometime this decade but the owner of Excelway.com registered the domain in 2003. AUSACORP tried to buy the domain and the domain owner responded with a counter-offer. The company then filed the UDRP but didn’t mention its overture to buy the domain. Instead, it said that the domain owner tried to sell it to them. In this case, the Panel considers that the Complainant omitted or misrepresented key communications between the Complainant and the Respondent. The Complainant’s earlier offer to purchase the Disputed Domain Name was only disclosed by the Respondent. The Panel considers the Complainant filed the Complaint only after several failed attempts to purchase the Disputed Domain Name at what it considered to be a reasonable price. The Panel considers the Complainant launched the proceedings out of desperation as its prior attempt to purchase the Disputed Domain Name from the Respondent were unsuccessful but without a reasonable chance of success and as such in the circumstances constitutes an abuse of the administrative proceeding. The Complainant was represented by Herrero & Asociados. The domain name owner represented himself. Recent decisions seem to actually be making sense. If this keeps up, companies will stop using this to try to steal domains from rightful owner simply because they don’t like the price. Bad faith can go either way. Glad to see it is being recognized. No cigar, UDRP. Still corrupt. RDNH is a violation of federal law. Domain reclamations in court due to fraudulent UDRP filings are a burden the courts must not be expected to bear–it is squarely against the mandate and raison d’étre of the UDRP. *A “common law trademark exception” is untenable for the UDRP from an evidentiary standpoint. It also runs counter to any definition of a distinctive mark, and ignores the interests of a global population of 7.5B. Such filings are invariably infringement conflicts, outside the stated purview of the UDRP.